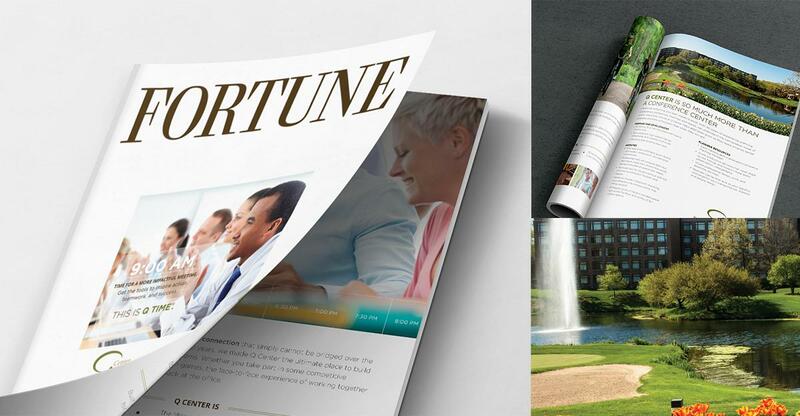 The world’s most notable brands sharpen their human resources and intellectual capital at Q Center, one of the largest dedicated conference centers in North America. Equipped with industry-leading facilities and staff, Q Center helps meetings transcend the expected. The goal — inspire groups to achieve great things. Q Center has dedicated every inch of their 95-acre campus to create transformative experiences for their global clients. Since 2012, envisionit has helped Q Center represent the sophistication and breadth of its approach to B2B audiences. Research showed that key decision makers and influencers were more engaged with certain digital channels than previously believed. 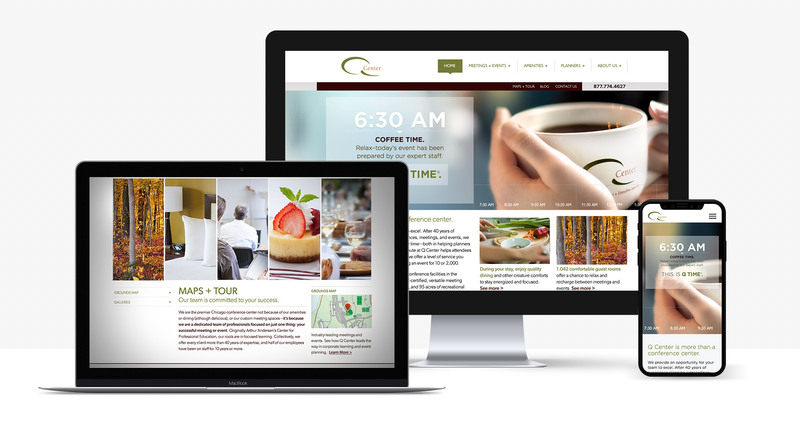 We collaborated with Q Center to ensure that their online properties expressed the transformative impact of the Q Time experience. 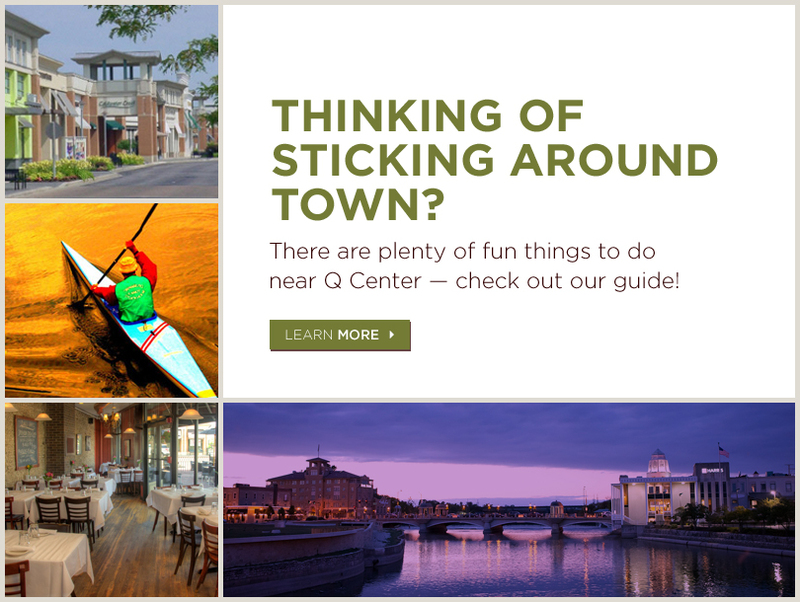 With a revitalized website at the core, Q Center realized a greater degree of brand impact and ultimately, leads. The specialists at Q Center, as well as the Chief Learning Officers and event planners they serve, know that great meeting experiences require much more than most hotels offer. That’s why we developed “Q Time” — a platform that focuses on the service-oriented details and one-of-a-kind learning environment that only Q Center offers. They have the industry’s premier meeting and events professionals on staff, so we leveraged that wealth of knowledge to showcase the high-quality events that savvy clients could expect. Capturing the unique experience of Q Center’s 95-acre campus couldn’t be done without video. envisionit developed a highlight reel that celebrated the campus in vivid, larger-than-life detail. 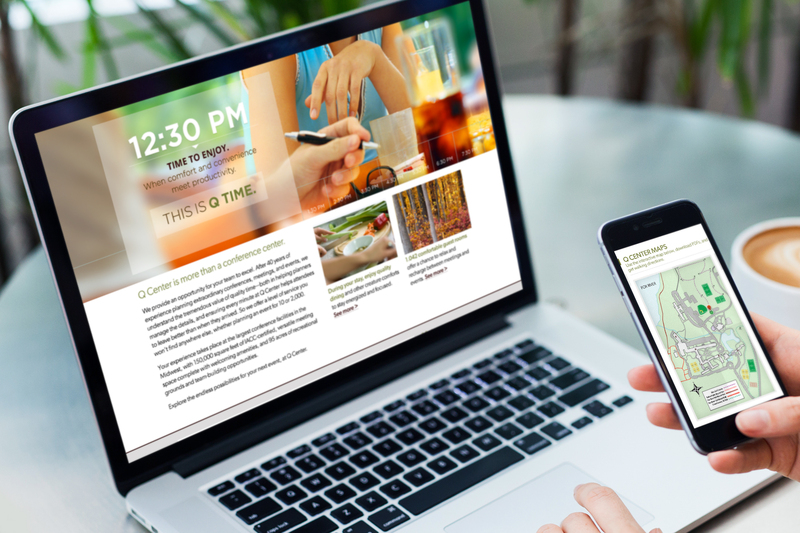 We used a comprehensive digital media mix to ensure the right audiences were engaged. Email, digital display, and social engagement brought audiences the most relevant information at the right time. The mix and the message had impact — a 63% increase in traffic and a greater volume of leads from totally new sources. 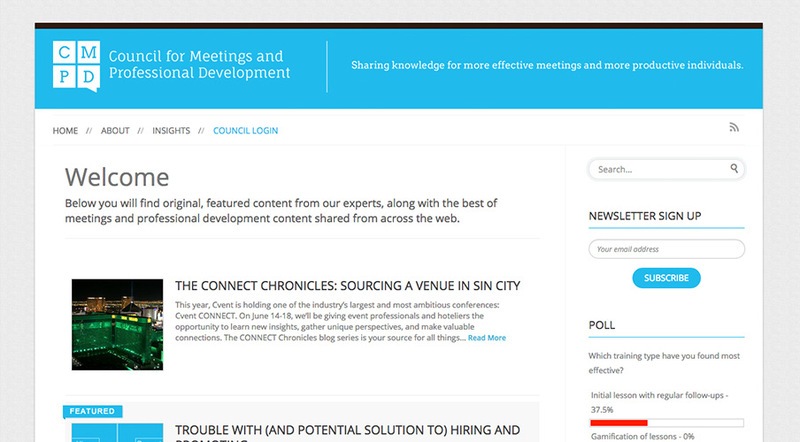 Q Center and envisionit collaborated with thought leaders, academics, and leading enterprises to establish the Council for Meetings and Professional Development. A network for strategic, policy, and best-practices thinking for the field, it serves as a platform to advance the industry so that stakeholders are better equipped to address pressing issues and create meaningful solutions. As audiences became more aware of the exceptional meeting and event experience at Q Center, engagement across digital and offline channels increased. With better digital tools, Q Center became better positioned to offer timely thought leadership. And as they gained more visibility, people took notice — so much so that they were acquired by Dolce Properties and become a new member of a family of nationwide, state-of-the art meeting spaces.